But while creativity might seem like magic, it’s definitely a good kind of magic and a bad kind of magic. It bewitches us into thinking that simply being “creative” is enough; that if you have that unexplainable thing, then you don’t need to work as hard. Well, I’m here to tell you that’s simply not true. Sorry to break it to you, but while creativity is awesome and important, it’s not the be-all and end-all. If you’re going to do your best creative work — and isn’t that what we all want? — then it’s time to accept these 11 brutal truths about creativity. 1. Your ideas are not original. One of the most beautiful things about humanity is our ability to build on each other’s ideas, making small tweaks and giant leaps into new innovations. 2. Inspiration is a myth. We like to think of inspiration “striking” us at unlikely moments — and it does. (We’ve all had that shower moment, right?) The problem is, we attribute that moment to some mystical magic coming out of the air. However, research has shown that it’s not magic at all, but rather our brains making connections behind the scenes. One Harvard researcher, Shelly H. Carson, named it the “incubation period” which comes about as a result of “divergent thinking” or the period when you’re distracted and letting your mind think about other things. That’s why it feels like it’s random — your brain is consciously working on other things, but your subconscious is furiously working without you realizing it. Look, we all want to feel special but the truth is, everyone is creative. Creativity is a human quality that exists in every single one of us. The degree of your or anyone else’s creativity doesn’t depend on an innate quality but rather on how hard you work. You could be as talented as Pablo Picasso, but if you don’t pump out the product, who cares? Your creativity is worthless. 4. Creativity isn’t something you’re born with. While this might make people who have failed out creative fields (read: didn’t work hard enough) feel better, creativity is not something that a person is born with. Jory MacKay points out in his piece on Crew that not only is creativity taught in colleges and universities all over the world, but you can actually train your own brain to be more creative simply by doing creative work over a long period of time. 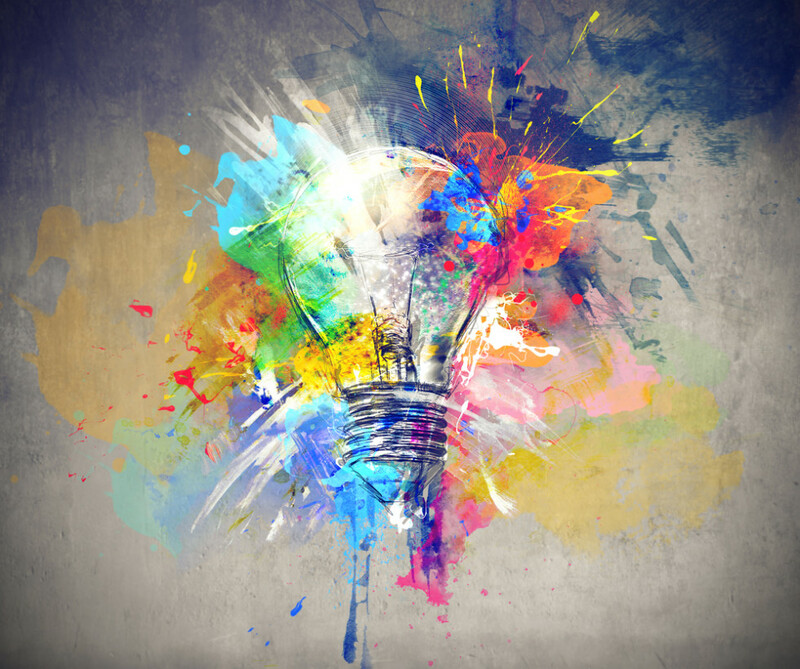 If creativity was something we were just innately born with, that just wouldn’t be true. 5. You’ll never be great until you can be vulnerable. You can be good, sure, but you’ll never be great if you can’t be vulnerable. While inspiration and originality are myths, vulnerability is a real, solid necessity for anyone who wants to do great creative work. When’s the last time a piece of creative work truly hit you in the gut? Whether it’s a photo, a painting, a blog post, or a web design – something’s made you feel recently. Now think about what that creative person must have had to put into the work in order for it to affect you like that. Do you think it was something so mundane as “Flowers are pretty”? Nope, didn’t think so. Just as creativity is in all of us, so is fear. Fear is your body’s way of protecting you from harm, be it physical or psychological. For a creative, fear is also your body’s way of telling you that you’re onto something excellent. Instead of shying away from fear, move toward it. Own it. Embrace it. It will bring you to new heights if you let it. 7. Being creative is hard. A lot of people give up in frustration when they’re trying to complete a project because they think it’s a block in their creative road. Wrong! Frustration is an essential part of the creative process. Best-selling author Elizabeth Gilbert talks about the importance of frustration in an Inc. interview: “The frustration, the hard part, the obstacle, the insecurities, the difficulty, the ‘I don’t know what to do with this thing now,’ that’s the creative process,” she says. So go ahead, rage when you need to rage! But know that if it wasn’t hard, it wouldn’t be worth doing. The image of the “lone creator” working long hours in a terrace in Paris or something is romantic — but it’s also not realistic. First of all, humans are built to collaborate, even if it’s only on the level of sharing what you’re doing with friends over drinks. Secondly, a lot of supportive work goes into the creative process, from cooking meals to cleaning houses to paying the bills. Think Ernest Hemingway really wrote all of his books on his own? Think again — he had a great wife. From Thomas Edison to Michelangelo, creative people have been working with teams — teams that almost never get the recognition that their big name compatriots get — in order to produce the greatest innovations in history. 9. Brainstorming is not the best way to innovate. But while collaboration is important — maybe even essential — for great creative work, classic brainstorming is not the way to get there. Instead of starting at a long table with everyone trying to come up with ideas together, experts recommend letting everyone come up with their own ideas first and then bring them to the group. The sharing out of ideas allows for cross-pollination, after which everyone in the group should go back and ruminate on what they heard. That’s where truly excellent collaboration comes from. Think that higher pay encourages greater creativity? It’d make sense, right? We like reward higher output of any kind with higher monetary incentives. However, research shows that greater incentives might actually hurt creativity. One study from Harvard Business School, cited by Christian Jarrett in 99u, put art created for pleasure and art created for pay in front a panel. The judges didn’t know which work was which, but in the end they rated the work created for pleasure consistently higher than that created for pay. Puts a different spin on it, doesn’t it? 11. It doesn’t get easier. Sorry, but it doesn’t matter how good you get in your creative profession — being creative never gets easier. It does, however, get increasingly satisfying and worth it. And isn’t that what we’re all pushing for?